In general, vegetables do not cause diarrhea, unless you have another medical condition that results in diarrhea. Diarrhea is a condition that most people experience at some point in their life, but if you develop diarrhea every time you eat certain vegetables, you should seek medical attention to determine the cause. The most common cause of diarrhea from eating certain vegetables is food intolerance or a food allergy. Both of these conditions cause irritation in the digestive system that can lead to loose, watery and frequent stools. There is a difference between loose stools and diarrhea. Loose stools can occur from eating greasy foods or eating too much fiber. Diarrhea is a condition in which your digestive system attempts to empty itself by passing its content much faster than usual. Diarrhea typically lasts for one to two days and needs to be evaluated by a doctor if it lasts more than two days. Diarrhea that contains blood or mucus is an alarming symptom that needs further assessment. If you are intolerant to certain vegetables, you will develop diarrhea within 20 minutes or up to two hours after eating the food. Food intolerance is a defect of the digestive system. During digestion, the linings of your intestines produce essential enzymes that help break down the proteins and sugars in the vegetable. If you lack specific enzymes to digest specific vegetables, the food will sit in the gut until bacteria can break it down. The bacterium causes gas, bloating, nausea and diarrhea as a result. Although uncommon, you may have an allergy to certain vegetables. An allergy is different from intolerance primarily because it is an immune system reaction. If you're allergic to certain vegetables, your immune system mistakes the proteins in certain vegetables as dangerous and fights against them. 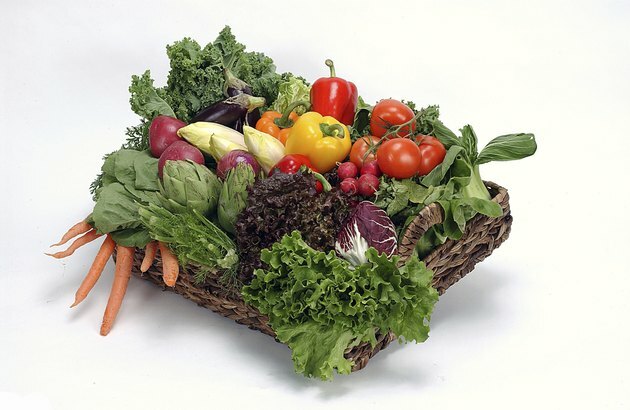 Antibodies and histamine are two primary chemicals that the body creates to fight off the vegetable proteins. This action leads to inflammation and swelling in the gut, causing diarrhea. The main concern associated with diarrhea is dehydration. During diarrhea your body is depleted of water and salts that keeps the body functioning. If you lose too much water and salt, you can become dehydrated. Dehydration is a medical condition that needs attention because it can lead to death if not treated. Can You Eat Vegetables When You Have Diarrhea?